Clear Aquarium Water with Natures Soldiers! When maintained correctly, an aquarium can be a magnificent feature to any home. They’re like an ever-changing piece of art, or a natural television, just without the annoying adverts. However, without some attention and maintenance, they can quickly become a dirty, green eyesore in your otherwise beautiful home. How to Clear Green Aquarium Water? 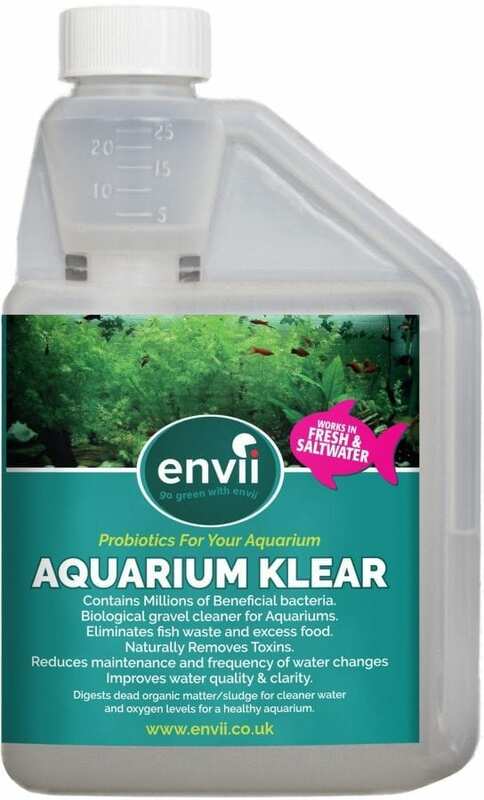 Aquarium Klear treatment contains millions of beneficial bacteria, capable of doing a whole host of jobs in your aquarium. They’re like the SAS of the water treatment world. The primary mission for these bacteria is to target microscopic algae that cause green water in aquariums and eliminate them. You will benefit from improved water clarity and your fish will admire the view out of their tank. As we are using microscopic bacteria, it can take up to 8 weeks to fully clear it. Think of it like an ant, trying to eat an elephant, it’s a pretty big job! The second mission for the bacteria in this treatment is to biologically clean the gravel in your tank. A build-up of excess fish food and waste falls to the bottom of your tank and settles. Overtime this sludge can release harmful toxins in to the water and lead to potential fish illness. The innovative bacteria work just as well in both freshwater and saltwater aquariums to treat green water and algae. 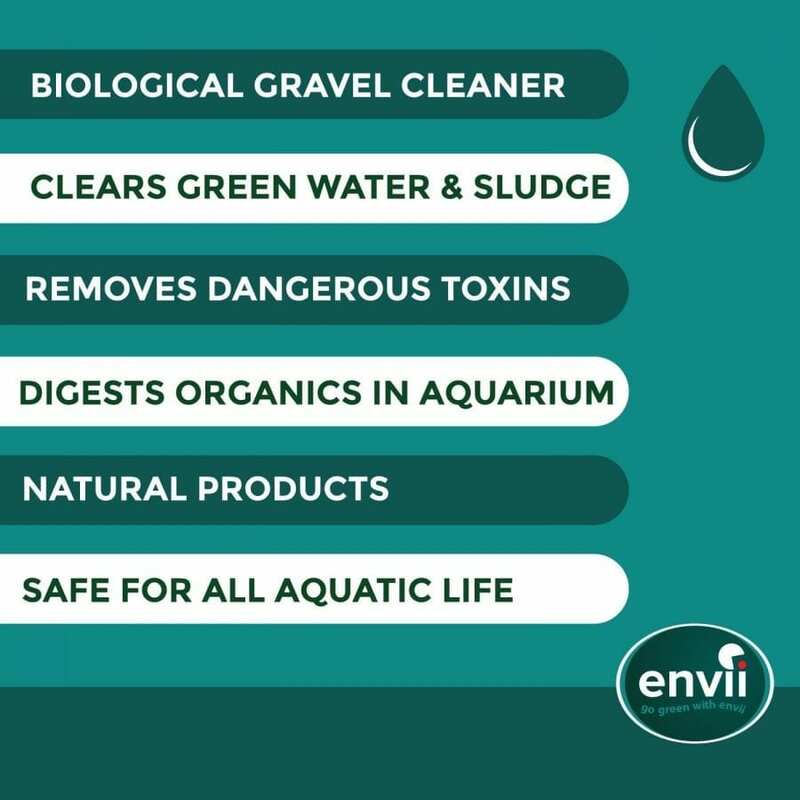 As well as creating a safe environment for your fish and improving the appearance of your tank, the aquarium green water treatment is safe for all fish, filters and plants. How to Get Rid of Algae in Fish Tanks? As if the benefits of the bacteria in our a weren’t impressive enough, they can boast one final feature. If your aquarium suffers from green string algae, Aquarium Klear will eliminate the food source that algae needs and starves the algae to death. Continued treatment will create a natural defence against any future algae or green water. 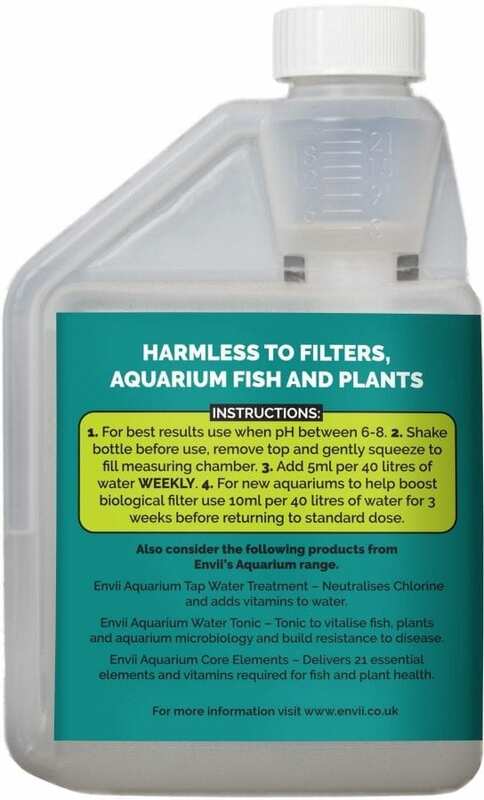 When using products in your aquarium, ensure the waters pH is between 6 & 8 for optimum performance and ensure you follow instructions and dosage rates for best results. Reduce the number of water changes you do when using Aquarium Klear as you will remove some of the bacteria when doing so. Is this safe for all kinds of fish? Can this be used in salt water? Yes, this can be used in either fresh or salt water tanks. Not directly, but it will remove the nutrients that the algae feed on and starve it to death.